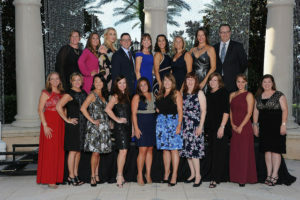 For more than 30 years, the Space Coast Chapter of the Florida Public Relations Association has been promoting and developing the public relations profession. Its membership is one of the most diverse in the state with multiple levels of experience and differing areas of expertise. FPRA provides a variety of services, benefits and opportunities dedicated to the success of the public relations professionals. Membership in FPRA is a sound professional investment, regardless of whether you are a student, a PR professional, a business, a non profit or a government agency. You may also review our chapter’s Membership Brochure and read about the state-wide FPRA member benefits! Individuals professionally qualified by education or experience, who devote at least 5O percent of their working time to public relations activities and pay their own dues. The membership belongs to the individual. Any organization, corporation, governmental agency or similar institution may join and appoint representatives who are professionally qualified by education or experience and devote at least 50 percent of their working time to public relations activities. The organization pays the dues and owns the membership. Any organization, corporation, governmental agency or similar institution may join and appoint several representatives who are professionally qualified by education or experience, devote at least 50 percent of their working time to public relations activities and are employed in the same location (building). In addition to lower annual dues, multi-professional members are eligible for lower annual conference registration fees. The organization pays the dues and owns the membership. Any professional member who has retired from the full-time practice of public relations for profit and has reached 62 years of age or more, shall be eligible for retired professional membership. Any member of the association who has demonstrated extraordinary service to the profession and the association at both the state and local level, upon the recommendation of the Past President’s Council to the Board of Directors, followed by unanimous vote of both the board and the membership present at any regular meeting shall be eligible for life membership. Life members shall not be liable for dues or assessments. Any person, either as an individual or representative of a firm or corporation, interested in the activities of the association and in an allied field of the public relations profession, is eligible for allied membership. As with professional memberships, if the individual pays the dues, he or she owns the membership. If an organization pays, the membership belongs to the organization. A person professionally or academically qualified for professional membership, but who is temporarily not actively engaged in a public relations position. This membership is available for a maximum of one year. Full-time students enrolled in accredited institutions of learning and interested in public relations. Student memberships run from September 1 – August 31.